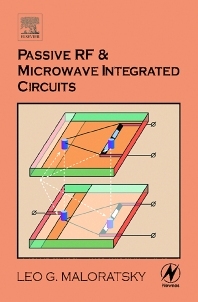 The growth in RF and wireless/mobile computing devices that operate at microwave frequencies has resulted in explosive demand for integrated circuits capable of operating at such frequencies in order to accomplish functions like frequency division, phase shifting, attenuation, and isolators and circulators for antennas. This book is an introduction to such ICs, combining theory and practical applications of those devices. In addition to this combined theory and application approach, the author discusses the critical importance of differing fabrication materials on the performance of ICs at different frequencies. This is an area often overlooked when choosing ICs for RF and microwave applications, yet it can be a crucial factor in how an IC performs in a given application.